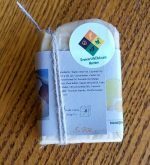 Short Product Description: A striking part white and part orange swirl soap cake with a refreshing citrus fragrance. 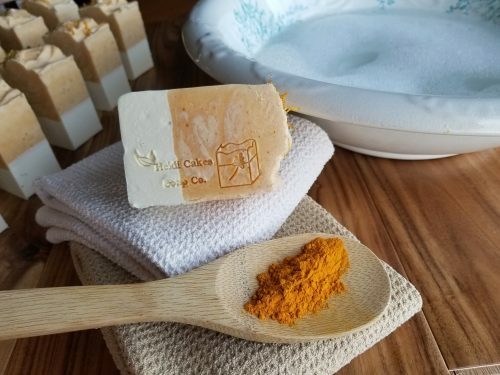 This thick cake has a wonderful and refreshing citrus blend and is gently colored in a lovely golden yellow hue by turmeric. 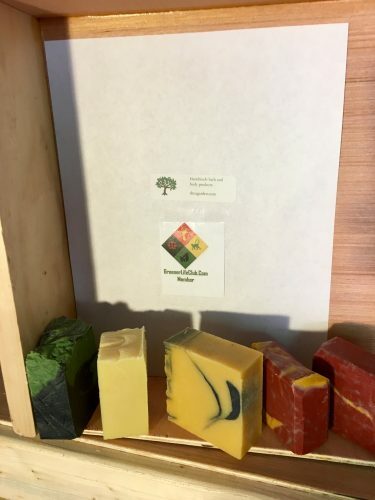 Wonderful oils such as olive, coconut, canola, apricot, sweet almond, avocado and palm oils, and plenty of luxurious butters like cocoa, mango and Shea are included in this rich soap. This soap weighs an average of 5.9 ounces and is a part of my Signature Cake series.